Every brand has a story to tell. But not every business knows how to inspire its customers to re-tell its story. 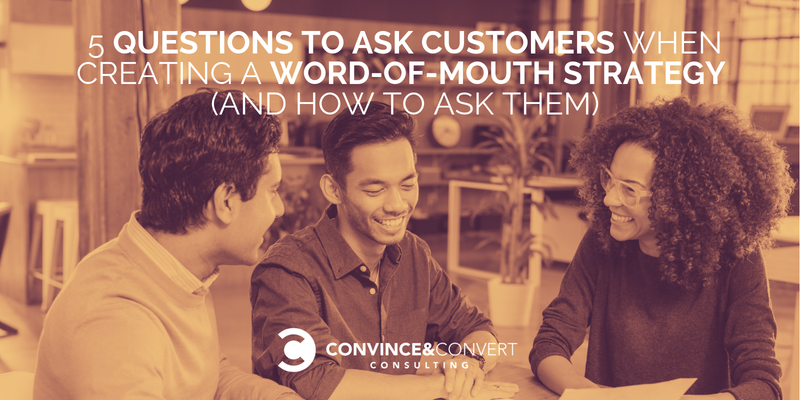 Despite the inherent difficulty, word-of-mouth marketing is the sort of self-perpetuating machine that should be the goal of every company to engineer. Rather than overspend on traditional advertising, turn to your best and least expensive marketing asset: your customers. How do you do this? By creating talk triggers — essential elements of your brand experience that customers cannot help but share with others. When done right, you can turn your customers into an army of volunteer marketers. Not all word of mouth is created equal, though. While you should obviously avoid giving your customers gloomy gossip, it can be less clear how to create positive triggers that stand the test of time — or, even better, talk triggers that can be adapted to changing times. Amid ever-changing market dynamics, any brand differentiator is always moments from irrelevance. Much like the products or services you offer, your talk triggers require constant evolution, optimization, refinement, and user feedback. Without adjustments, even the best ideas can grow stale. Not convinced? Consider the history of the now-ubiquitous Google Maps. When Google Maps first graced our browsers, its clear superiority to MapQuest generated plenty of attention. But that superior design quickly became unremarkably common. Before long, Google pushed things another step forward by adding real-time traffic. Again, it became the talk of the web. When that chatter subsided, Google added street-view images. Lather, rinse, repeat. Today, Google Maps is more common than a compass. Plenty of brands fail to notice — or choose to ignore — when their buzz begins to fade, however. Hype can wane for many reasons, whether it’s because of copycat competitors, customers growing accustomed to what once felt novel, or changing societal norms. Regardless of the reason, the end result is the same: Chatter about your brand dries up as other companies stir up new conversations. 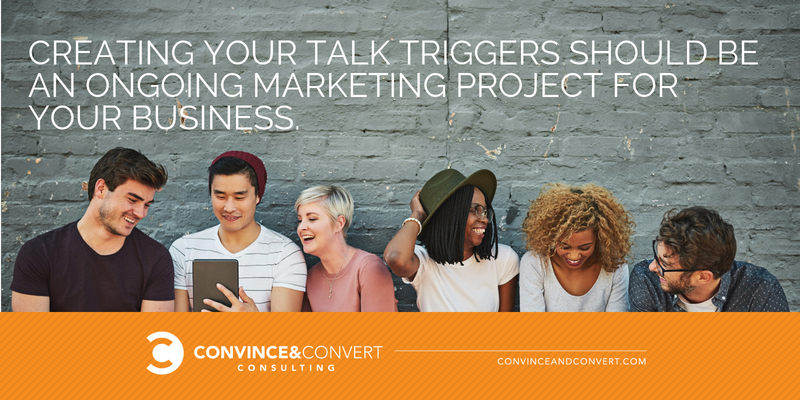 Creating your talk triggers isn’t something you put in your business plan and file away for a rainy day. It should be an ongoing marketing project for your business. So how do you continually generate these ideas? First, you have to ask the right questions. As you ask yourself the following questions, consider them from the perspective of your customers. How do you think they would answer? Search through surveys. While they might not be the most exciting way to engage your customers, surveys are a useful way to gather data on their desires, opinions, behaviors, and much more. Considering that preferences can change in a matter of months, this tool is especially handy for charting customer expectations over time. How quickly have we come to expect a USB port in our cars while forgetting the once-standard cigarette lighters? Surveys are a great way to get a pulse on how new market trends are changing what your customers want before those preferences are outdated. Engage using social media. Nothing can replace face-to-face stories, but it’s hard to deny the role that social media now plays in consumer chatter. As Engagement Labs Research has shown, roughly 50 percent of these conversations now occur online. While social media dialog often represents only a small subset of your customers, you cannot afford to ignore what that group is telling you.Let the simple question behind Twitter guide you: What’s happening? Follow conversations over time to get a better view of exactly what is going on with your customers. Pay attention to what’s influencing them, what’s popular, and how willing they are to engage with brands that matter to them. Talk to your customers. Literally. Actual conversations with your customers, whether on the phone or in person, are irreplaceable. There’s no better way to maintain as close a connection, and many successful companies recognize the importance of ongoing dialogue.The founders of acclaimed technology incubator Y Combinator went so far as to make talking to a few customers every week a core objective of the company. Follow that lead and make those conversations a priority. Bring a handful of key questions with you, and you’ll gather valuable data to share with your team. Get in their shoes. When was the last time you actually experienced your product? Better yet, when did you last experience your competitor’s product? It’s been awhile, right?Lasting talk triggers are not created in the boardroom or the lab. They are built on the ground floor, where customers actually experience your brand. Only by stepping into that space on a regular basis can you maintain a keen eye and a sharpened awareness of any gaps in your user experience. Consider bringing along other people who have varied perspectives as you experience your brand with your own eyes. You might be surprised at the insight you can glean from seeing things through a child’s eyes, for instance. That change in perspective is priceless. Timeless talk triggers frequently become synonymous with the companies that created them. The gigantic menu, the freshly baked cookies, or the stellar customer service — countless customers associate these differentiators with The Cheesecake Factory, DoubleTree by Hilton, and The Ritz-Carlton, respectively. These brands have endured for decades because people cannot stop gushing about them. They have persisted because their stories have been shared time and time again. What tales will your customers be sharing years from now? 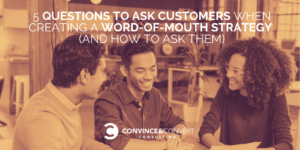 This content was inspired by research and case studies contained in “Talk Triggers: The Complete Guide to Creating Customers With Word of Mouth,” the new book from Jay Baer and Daniel Lemin.